I’m sure you’ve heard the saying that if you wait until you can afford kids, you’ll never have them! And everyone knows having a baby ends up costing a lot more money than planned for! So, if you’re expecting a baby or have an infant or toddler and need baby stuff now, but can’t afford it, I’ve found several stores that offer deferred billing on baby gear, so you can buy now and pay off later over time. The following online merchants accept Affirm with payments starting at $7 per month. 4moms sells mamaRoo, bounceRoos and rockaRoo infant seats, breeze playards, infant tubs, high chairs, strollers and self-installing car seats. Shop 4 moms.com now! Aeroflow sells breastfeeding pumps and can help you qualify for a breast pump through your insurance. If your insurance won’t cover it, you can make payments which are less than renting a breast pump. Shop AeroflowBreastpumps.com now! 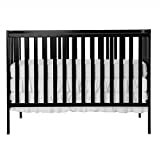 Newton Baby is the #1 rated baby crib mattress offering free shipping, free returns and free 100 night trial. Shop NewtonBaby.com now! Amazon offers a free $50 gift card for applying and getting approved for their Amazon Rewards Visa Card that you can instantly apply towards new baby stuff plus earn 3% back on your Amazon purchase. Shop Amazon.com now! Gettington lets you choose to pay back in 4 payments or up to 24 monthly payments on thousands of brands including Chicco, Evenflo, Fisher Price, Graco, Safety 1st, Storkcraft and more. Application takes less than a minute! If you already have a Gettington Credit Account, click here to shop! Fingerhut basically carries the same products as Gettington including thousands of name brand products (i.e. nursery furniture and bedding, car seats, strollers, high chairs, bottles and more) with no down payment and no layaway. Affordable monthly payments. They to say “Yes!” when others say “No” if you have less than great credit. If you already have a Fingerhut Credit Account, click here to shop! The following online stores all sell baby stuff AND accept PayPal, so you can choose PayPal Credit (formerly Bill me Later) at checkout to make monthly payments. No Payments + No Interest if paid in full in 6 or 9 months. No Interest if paid in full in 6, 12 or 18 months with minimum monthly payments. FlexShopper carries name brand strollers, car seats, cribs, monitors and more that are available to rent to own for as little as $1 per week – Qualify today for up to $2,500 instant spending limit with no money down, no hidden fees (and bad credit is okay). Shop FlexShopper.com now! Most of the stores mentioned above are located in the United States (but may ship internationally). If you live in Australia, check out stores that accept zipPay, and if you live in the United Kingdom, check out stores that accept Klarna. Can’t find what you’re looking for? Check Into Cash offers payday loans from $100 to $1000 deposited into your bank account to spend anywhere. Apply for free in minutes! Boy, am I glad my baby making days are over as baby stuff is expensive!